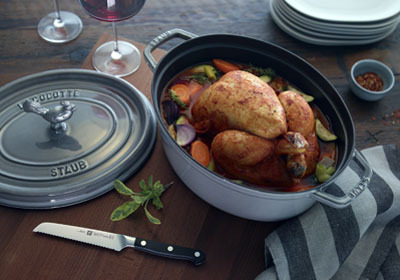 Made in France, Staub's beautiful enamelled cast iron cookware pieces are ideal for grilling, frying and creating delicious slow cooked, one pot meals for the family. 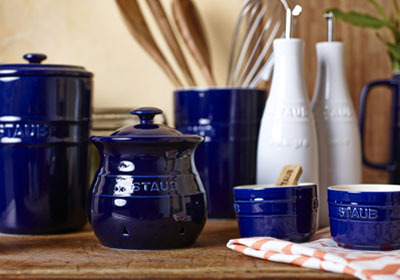 Staub's ceramic oven, bake and tableware adds style and elegance to your kitchen or at the dining table. 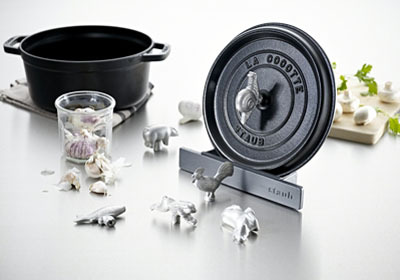 Trivets, steamers and other essential accessories to help you get more from your Staub cast iron cookware.